At McArthurGlen Designer Outlet Swindon, there is no need to have the January blues! Because shoppers & food lovers who haven’t visited recently will definitely spot the difference in 2019. 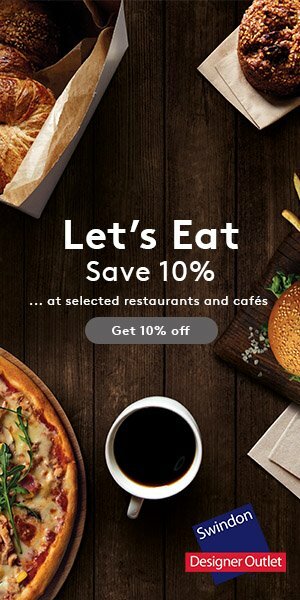 Step into the New Year with a fresh new wardrobe by exploring some of the centre’s recent brand additions or indulge in brunch, lunch or dinner at one of the popular eating establishments with 10% off dining this February. In the last six months, Swindon Designer Outlet has welcomed a number of exciting clothing and lifestyle brands such as Mint Velvet and White Stuff, to the impressive brand portfolio of over 100 high street, premium and designer brands. Mint Velvet’s new collection of beautiful clothing and accessories exude relaxed glamour - ideal for those looking to refresh their wardrobe. For those looking for a more casual look, White Stuff offers a versatile mix of quality clothing for men, women and children suitable for whatever adventures 2019 bring. In recent months, the Designer Outlet has also welcomed the much-loved British footwear brand Dune London, lifestyle and accessories brand FatFace, all-star favourite Converse and London’s bath, body and beauty connoisseurs, Molton Brown, who all offer amazing year round savings of up to 60% off RRP. After a busy day, guests can take a break from shopping to dine at some of their favourite food establishments, for less. 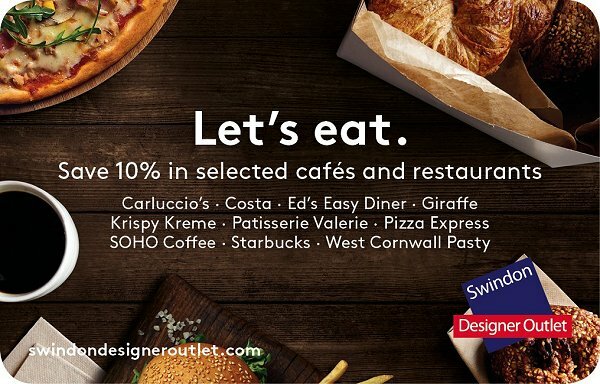 From 1st February until 10th March, guests can receive 10% off participating restaurants by picking up a complimentary ‘Let’s Eat’ card available from Guest Services or downloadable from the Swindon Designer Outlet website. Whether it is a coffee stop in Costa or carbonara in Carluccio’s, there is something to suit every appetite.